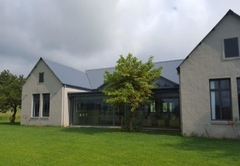 Gowrie Farm House 217 is a property providing self catering in Nottingham Road for up to 8 guests visiting the Natal Midlands region. 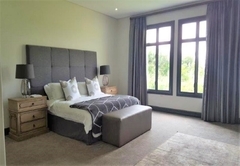 Gowrie Farm House 217 offers accommodation in a modern house situated on the secure Gowrie Farm Golf Estate in Nottingham Road. 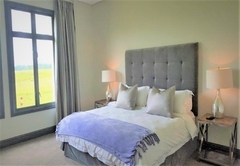 The estate boasts a classic 18-hole golf course, a pro shop and clubhouse as well as a conference venue and trout fishing. 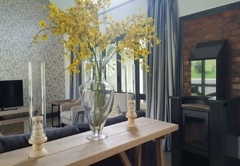 The well known Midlands Meander Route offers a variety of restaurants, coffee shops, spas, shops and cultural attractions. 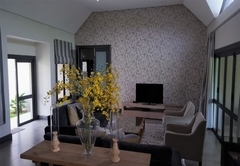 The Self catering house can accommodate up to eight guests in four bedrooms. 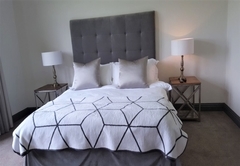 The first and second bedrooms are each furnished with a King-size bed and the third and fourth bedrooms each have two single beds. 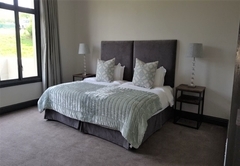 All the bedrooms have an en suite bathroom. 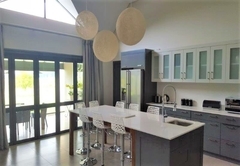 There is an open plan kitchen, dining and living area as well as an enclosed verandah. 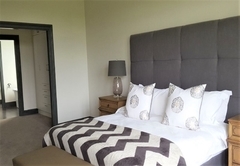 The kitchen is fully equipped for self catering and features a laundry area with washing machine, tumble dryer and a dishwasher. 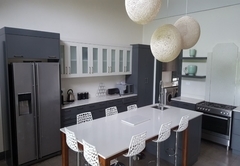 There is also a breakfast bar with eight stools. 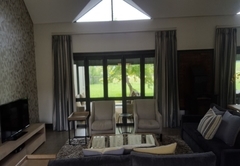 The comfortable TV lounge is equipped with a TV with full DStv and a sound system, as well as an indoor braai fireplace. 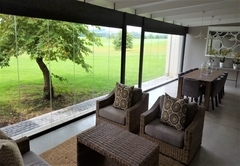 The enclosed verandah has a lounge area, a 10-seater dining table and lovely views over the golf course. The cottage is serviced daily. 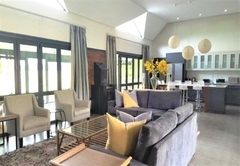 Gowrie Farm House 217 is ideal for families wanting to enjoy the country, with a golf course on their doorstep. 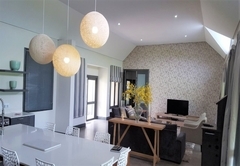 Gowrie Farm Golf Estate House 217 is a modern self-catering house located on the secure Gowrie Farm Golf Estate in Nottingham Road. 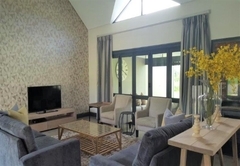 House 217 accommodates up to 8 guests, and comprises 4 bedrooms, 4 bathrooms. 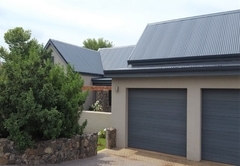 Response timeGowrie Farm House 217 typically responds to requests in 5-10 minutes.